What’s the future of medical journals? 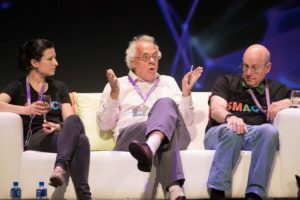 I had the pleasure of joining a panel discussion at the recent SMACC conference on the future of medical journals. I was delighted to share the stage with some real big hitters such as Richard Smith (ex editor of the BMJ) and Jeff Drazen (current editor in chief of the NEJM), together with some amazing researchers such as Sara Bassin Flavia Machado, Kathy Rowan, John Myburgh, Simon Finfer and Kath Maitland. As with all panel discussions there was a degree of entertainment generated by our host Simon Finfer, but this is a significant matter. Journals and the publishing process have a huge role and influence on the conduct, funding and dissemination of science. The panel was assembled with deliberately discordant views to challenge the status quo and to look to what may be a fabulous, or perhaps a more dystopian future. Richard Smith is a vociferous proponent of a post journal world and you can read his thoughts here. It’s really worth a read as a challenge to how we deliver knowledge from primary research out to those that actually need it and then out to practice, and more importantly to those that will benefit from it i.e. our patients. I found myself at one end of the on stage sofas with Rob MacSweeney who many of you will know from the Critical Care Reviews website, and with whom I share many views. I think we played our role as challengers to the status quo pretty well. Rob in particular is a fantastic exponent of getting research to the bedside in an ethical and fair way. If you’re not following his blog, and getting his newsletter at critical care reviews then follow the link and think about joining in. There was too much on the day to summarise here, but I’d ask you to have a think about some of the ideas raised on the day. Right or wrong the panel were challenged on the following. Publishing in high impact journals is a key to academic promotion. Should it be? Universities are using a proxy measure (impact factors) to determine promotions. That’s outsourcing a really important measure to a system that has huge flaws. Similarly, funding organisations measure success in terms of publications in high impact journals. Journals thus have a huge influence on research funding priorities and success. Is this right? Peer review has been repeatedly shown to have huge flaws, fails to detect fraud, fails to detect poor quality and is prone to interpersonal bias and politics. Can we find a better way? Social media has the potential to produce post publication review, but is it any good, and can we collate it? Should we have open publishing, followed by widespread open peer review and then publication, and would this be better at detecting fraud, bias and error? Some journals make their papers open access after a period of time (e.g NEJM) and this is a good thing, but it would be better if it was sooner. Should all funding agencies demand open access (as many now do)? The relationship between researchers seeking publication, impact factors, promotion and future funding is complex and arguably at risk of a ‘mutualism’ relationship that does not directly benefit patients. How do we break that relationship (and do we need to)? Many journals believe that they are providing a service by filtering the poor quality out and only presenting research that is worthy of attention. The question was raised as to whether we need ‘other people’ to do this for us. Do we really need journal editors to be our filters and guides or can we do it for ourselves? Patients enter trials on the understanding that they will benefit healthcare in the future. Is it therefore unethical that that information is behind a paywall and not widely distributed? We covered many more topics and I’d recommend a listen when it is eventually released from the SMACC website. For me, straddling the traditional world of journals as an EMJ editor, and also as proponent the new world of #FOAMed it was fascinating. I think it’s increasingly difficult to see how journals can survive in their current format with the rise of easy e-publishing and the ability to engage with a much broader audience across the internet. However, thinking that journals will remain as they are and not adapt to a changing world would be similarly naive. Journals will have to adapt and change and I’m sure they will. My thoughts are that the role of journals as sole publishers of original research will diminsh, taken over by an open publication, hive-mind reviewed, open multi peer review process (I can dream). This will not mean that journals will die. Arguably there will be an increasing need for the collation and interpretation of science, and arguably this will be a more effective and useful service for readers. The signs of such a change are already here. For example the BMJ has changed format over the years and now serves original research in a more summary style within the paper version. The detail is available, but not in the paper copy. It seems that accessibility, engagement and interpretation are increasingly valued, and that’s no bad thing. Here at the EMJ the primary survey and the podcasts serve a similar purpose and they are popular. 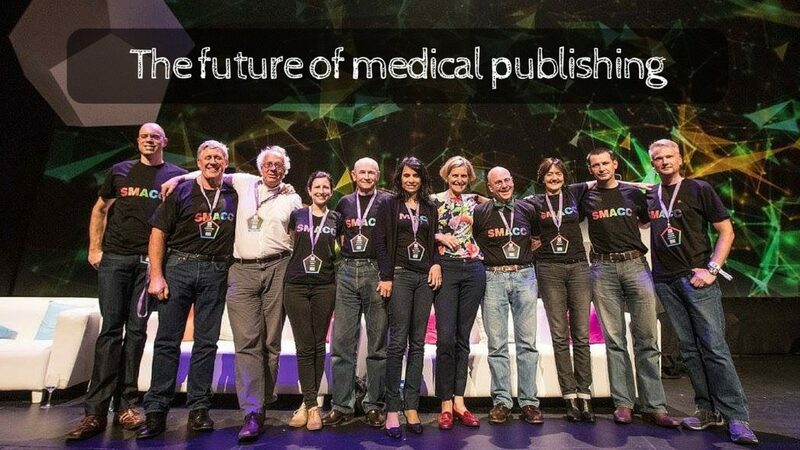 What then is the future of medical publishing? I’m not sure but I’m fairly confident that the status quo will not continue. What do you think? EMJ Editor and Editor at St.Emlyn’s virtual hospital, blog and podcast. PS. The debate was fuelled by some rather fabulous on stage drinks. The 25 year old Bushmills as recommended by Rob was truly stunning.